To access all content on this website, please log in with your BSL Account. No BSL Account yet? Please register. More information on BSL Accounts. This broadcast was shown live on Wednesday, 26th September 2018. You can see it here on demand. Target audience: This web-tv is for all HCPs interested in hyperuricaemia. This broadcast was shown live on Monday, June 11th 2018. You can see it here on demand. During this online web-tv experts on Cardiology from all over Europe will discuss new ESC/ESH guidelines on management of hypertension. Target audience: This web-tv is for all HCP being interested in cardiology. This broadcast was shown live on Thursday, 14 December 2017. You can see it here on demand (press 'Read more'). Moderator: Dr. Ayan Panja, NHS GP Partner in St Albans, clinical adviser to NHS Choices and the resident doctor for BBC World News. 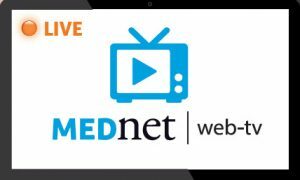 Target Audience: This web-tv is for physicians with an interest in MTC, in particular Endocrinologists, Oncologists, Nuclear Medicine Specialists and Surgeons. This broadcast was shown live on Wednesdays, 13 December 2017. You can see it here on demand (press 'Read more'). 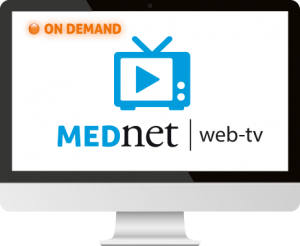 Target Audience: This web-tv is for physicians with an interest in DTC, in particular Endocrinologists, Nuclear Medicine Specialists and Surgeons. This broadcast was shown live on Wednesday, December 13th 2017. You can see it here on demand. 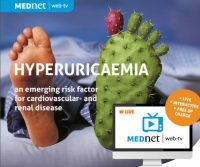 During this online web-tv experts on Cardiology from all over Europe share their knowledge and experience on topics like hypertension, heart failure, stable angina and hyperuricaemia. They not only talk about challenges but also offer solutions. By discussing cases they are able to give practical recommendations. Target Audience: Cardiologists and other HCP being interested in cardiology. In this on demand broadcast professor Ardythe Morrow explains what hMOs are and why they so important for infant nutrition and health. Also, she addresses the important subjects of managing the microbes and boosting baby’s immunity and recovery from gut insult. This web-tv directs at product development managers in the infant nutrition industry. This broadcast was shown live on Thursday, 15 December 2016. You can see it here on demand (press 'Read more'). • What are the early signs and symptoms of Gaucher disease? • How to diagnose Gaucher disease within clinical haematology practice? • What are the consequences of a diagnostic delay in Gaucher disease? Based on clinical cases from their daily practice, the experts participating in this web-tv go over these questions and explain why haematologists play a pivotal role in early diagnosis in Gaucher disease. This broadcast was shown live on Tuesday, 4th of October 2016. You can see it here on demand (press 'Read more'). Localized neuropathic pain (LNP) is a type of neuropathic pain that is characterized by consistent and circumscribed area(s) of maximum pain. It is still difficult to diagnose LNP and therefore many patients are treated with standard systemic treatments. As the intake of systemic pain medication increases the risk of side-effects, a good alternative can be a local treatment that is focused to the area of pain. Target audience: European practitioners and other health care specialists interested in pain. This broadcast was shown live on Tuesday, 12 July 2016. You can see it here on demand (press 'Read more'). A Faculty-driven discussion of the challenges in the management of patients with squamous non-small-cell lung cancer. This webinar will provide a unique opportunity to learn about the latest data in this field via interactive case studies of patients receiving first- and second-line therapy with the aim of providing individualized treatment. Our expert panel will debate the issues raised during the cases and answer your questions to provide an educational experience of real benefit to your clinical practice. Target audience: Medical and radiation oncologists, thoracic surgeons, pulmonologists, respiratory physicians and any other clinicians involved in the diagnosis, treatment and follow-up of patients with lung cancer. © 2019 Springer Healthcare, part of the Springer Nature group. All rights reserved.